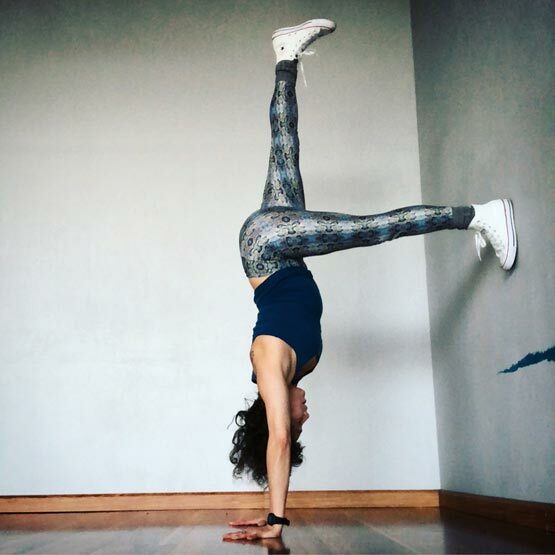 Yoga with Michele is a one on one private session designed to enrich the overall health of each client by fulfilling the client’s wellness goals. You can book a private session with me Monday through Saturday. I will draw upon my knowledge in a variety of Yoga styles such as Iyengar, Ashtanga, Vinyasa, and Gentle/Restorative as well as breath work (pranayama) and meditation to carefully create the framework of each individualized practice. Furthermore, my diverse skill set in movement analysis, dance, improvisation, kinesiology, and anatomy will be used as a backbone to heighten the sensation of movement awareness and proprioception. My aim as an instructor is to help develop harmony within the body and mind, while at the same time enhance physical longevity, harness strength, increase ease and range of motion, as well as develop an overall appreciation for one self. As a teacher, my aim is to infuse my passion and experience of Yoga to all as well as build and strengthen community bonds to each other and the environment. My teaching style blends my studies in Iyengar, Ashtanga, and Vinyasa. I bring a keen awareness of anatomy, kinesiology, improvisation, and creativity, along with my sense of humor and intuition. Class sessions will be held in my private yoga studio at my residence at 5252 N. Newark St. Portland, OR. 97203. Private Sessions are on a sliding scale between $30-$60 per hour. Saturday Morning Yoga in Cathedral Park is a 60 minute Vinyasa class designed to deepen an appreciation for yoga, nature, and architecture. It will be an on-going summer class meeting every Saturday morning from June 2 - August 18, 10-11am. We will explore a variety of poses (Asanas) to heat up the body, develop strength, tone, and flexibility, while decompressing from the stresses of life. All levels are welcome. Please bring a yoga mat, props you may require such as a strap, water, snacks, sunglasses, sunblock, an extra layer of clothes (waterproof), and anything else that will help you obtain your bliss. Please arrive 10-15 min. early to check in, set up, warm up, and socialize with your fellow Yogis. $10 suggested donation per class via cash preferably, check, or credit card. I have lived in Portland for 18 years and consider Cathedral Park one of the most stunning parks where nature and architecture merge. As a teacher, my aim is to infuse my passion and experience of Yoga to all as well as build and strengthen community bonds to each other and the environment. My teaching style blends my studies in Iyengar, Ashtanga, and Vinyasa. I bring a keen awareness of anatomy, kinesiology, improvisation, and creativity, along with my sense of humor and intuition. Please be prepared to walk a short distance and for shifting weather patterns (rain, wind, shift in temperature). This is an all levels class and modifications will be taught. Park events may alter location. If necessary, classes will be cancelled due to inclement weather. I recommend bringing your own yoga mat and props, but I will have some available on a first come first use basis. 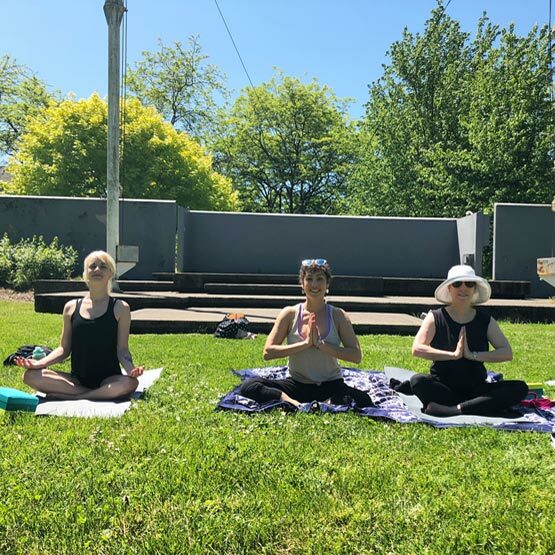 The specific location of our Yoga experience will be determined on the day of the event in order to flow with the ever changing Pacific Northwest weather patterns as well as park events. Please meet at 8676 N. Crawford St. Portland, OR. 97203. We will walk together to our location.